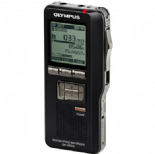 Digital Voice Recorders, Transcription & Dictation Equipment. Premicom Ltd is a Cheshire based company with over 30 years experience in the repair sales and service of dictation and other office equipment. Our company prides itself on offering all our customers a fast and reliable service. We stock a large selection of new & reconditioned equipment.